and keys and diary sets for girls in Emoji and Diva themes, as well as light up diaries to provide hours of fun. A huge hit is the new Pony and Mermaid themed scrapbook kits. The scrapbook kits are loaded with so many fun items to create with and even have scented stickers that smell so good! They are recommended for children 5 and up. SmitCo products also include very popular stretch jewelry sets for little girls - all packed in cute gift boxes. I know you will find some or all gifts here for the princesses on your list! 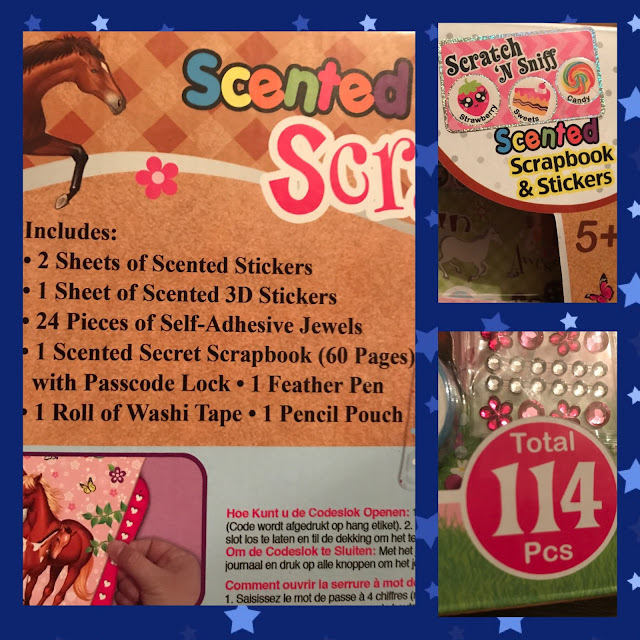 Disclosure: I received a Pony Scrapbook Kit to review.